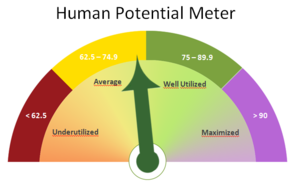 WHAT IS THE HUMAN POTENTIAL ASSESSMENT? 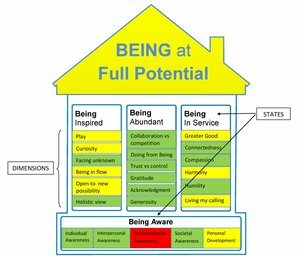 Developed by Being at Full Potential, the HUMAN POTENTIAL Assessment is the only tool existing today that measures the level of potential currently utilized by an individual or an organization and provides a holistic model in order to reach full Human Potential. The assessment is based on research work of those individuals and organizations which operate at high level of potential. It is at the crossing of modern management science and ancient wisdom traditions. It identifies 4 Being States based on 23 dimensions (House picture). The inherent belief behind the tool is that each individual has access to abundant potential. Individuals who reach a high level of potential have a rich and fulfilling life, contribute significantly to their environment while remaining centered. Few of us are conscious of the extent of our potential and of the ways to fully realize it. Anyone going through a personal or professional transition wishing to take a step back and assess what is currently contributing to his/her well-being and what is preventing it. As part of a coaching process this tool will enable self-discovery and be a precious guide in order to find meaning, motivation and energy. Contact me if you are interested of for any query. 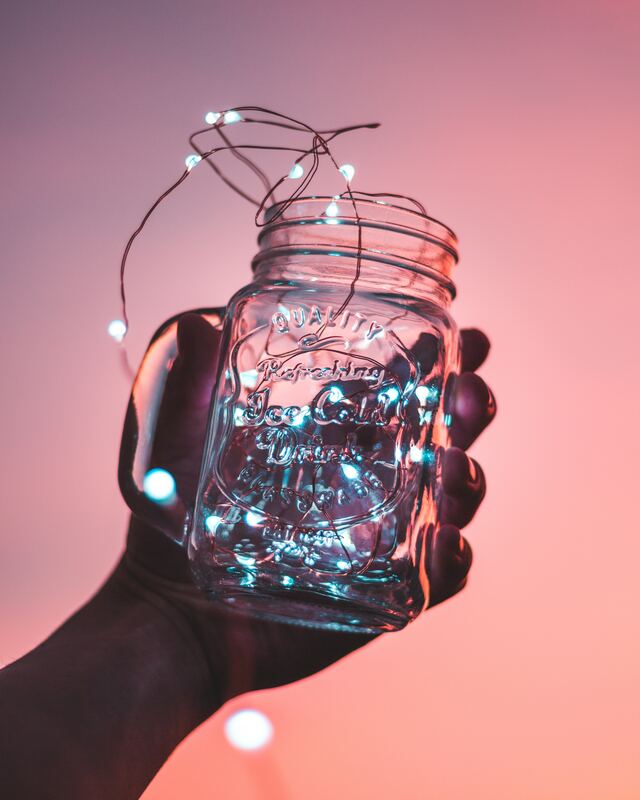 Discover in the below case study how an entrepreneur has revolutionized management in the Retail sector with business results well ahead of the industry average. Any leader passionate about the human dimension and looking for innovative solutions to unleash the Human Potential of his/her organization or team. In this case study you will discover how a London-based supermarket, Thornton’s Budgens, took significant steps to realise more of the Human Potential of its organisation and as a result created a breakthrough in business performance. You will also learn that these kinds of subjective human-centric interventions can be measured, analysed and re-applied in different contexts to transform businesses. Hopefully this will inspire you to go on a similar journey for your business.